Boaz Michael champions "Messianic Judaism for All Nations"
Where does Messianic Judaism fit in? Is it Reform, Conservative, Orthodox, or other? Boaz Michael focuses attention on the vision of First Fruits of Zion in advancing Messianic Judaism for All Nations, a worldview founded on the land, the people, and the Scriptures of Israel, regenerated in the resurrection of Yeshua, and looking toward the coming kingdom. How can the vision of the original pioneers of Messianic Judaism inform our current vision? This is the topic that D. Thomas Lancaster expands on as he looks at the differences between Messianic Judaism and Hebrew Christianity, and explores the various worldviews of early Messianic Jewish pioneers. In this article Toby Janicki explores the role of Messianic Gentiles in preparing for the return of the Messiah, the special relationship that Messianic Gentiles have with Israel, and importantly with their Messianic Jewish brothers. In this article D. Thomas Lancaster aims to provide an ecclesiological explanation for the concept of Messianic Judaism for All Nations — the idea that Messianic Judaism should be understood as a broad religious practice with praxis for both Jewish and Gentile practitioners rather than an exclusively national or ethnic expression of Christian faith. Where does Messianic Judaism fit in? Is it Reform, Conservative, Orthodox, or other? Are there too many conflicts between Messianic Judaism and these major streams of Judaism for it to ever be accepted into the larger Jewish world? What is the place of the Oral Torah in a Messianic Jewish worldview. In this article Jeremiah Michael takes a look at the authority of the Oral Torah within Judaism, and whether this should have any role in forming a Messianic Jewish hashkafah? Part 10 of Bram: The Life and Wisdom of Messianic Jewish Pioneer Abram Poljak in His Own Words. 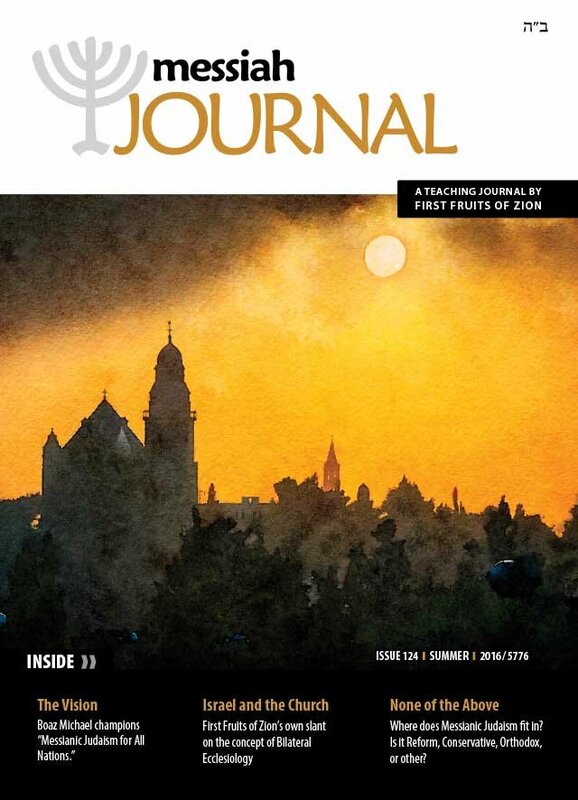 See previous Messiah Journal issues for earlier chapters in this series.